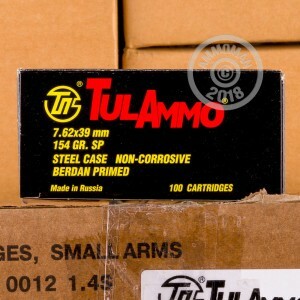 Whether you're looking to use your AK or SKS to punch holes in paper targets or put venison on the table, this 7.62x39mm ammunition from Tula can help get the job done under budget. 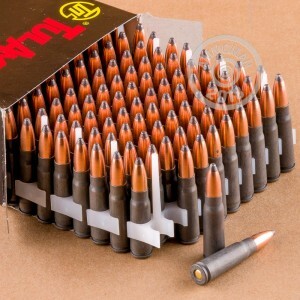 Each cartridge in this case of 1,000 fires a 154 grain soft point bullet at 2,051 feet per second. The heavy-for-caliber bullet is a better choice for hunting than one of mil-spec weight, as it provides additional penetration for cleaner kills against deer and other midsize game. Tula ammo is loaded in Russia using non-corrosive Berdan primers and non-reloadable steel cases. Grab this case or any other ammunition totaling $99 or more to get free shipping from AmmoMan.com! Most accurate 7.62x39 Ammo I have tried.